Nice stamping compliments too! My fave is the succulents. I need that succulents plates. Justine, your pictures are so wonderfully good - what camera/lens do you use? 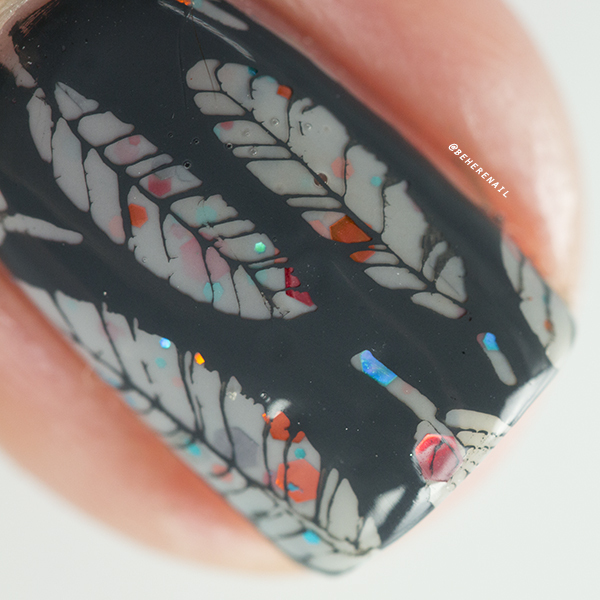 And your stamping is just on point - drooling so much over here, it's just superb!!! These colours look so lovely on you. I quite like the grey one actually, it's so unique and I don't have anything like that in my collection! I think that green one would look terrible on my skin tone though. I use a Canon D70 with the mid range macro lens. I'm a fan of Nikon but I really liked the video features that the D70 offered. I'm really happy you like my photos as I probably spend more time trying to properly represent the polishes than I do doing the manis themselves! 😂 I worried that Open Toad Shoes would bring out all the bad green in my skin, but it played surprisingly nice! Anyhow thank you so very much for your sweet comments. You inspire me to keep creating. 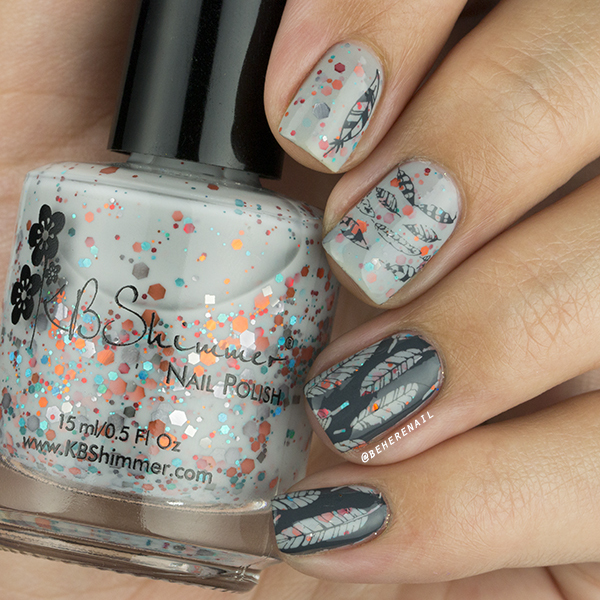 I LOVE both of these manis! 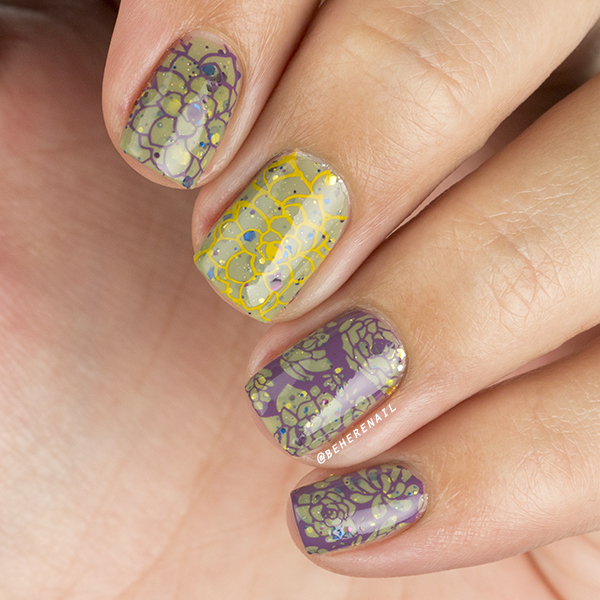 These polishes are gorgeous, but you take them to another level with the stamping. Also I need to get more plates with negative space images! I specifically look for plates with negative space images because I find them SO useful! Let me know what's out there once you get to looking. Thanks so much for your support Lili! Wow, thank you so much! I feel like with as much time as I spend trying to get good photos they should be better but I am so glad that you noticed my hard work. I really do spend more time on the photos than the nails, LOL. KBShimmer DOES have a lot of offbeat shades and that really, really does it for me. Anything that strikes my curiosity, that's why I love my indies. Thanks so much for coming to have a look at the ol blog! You are a dear!